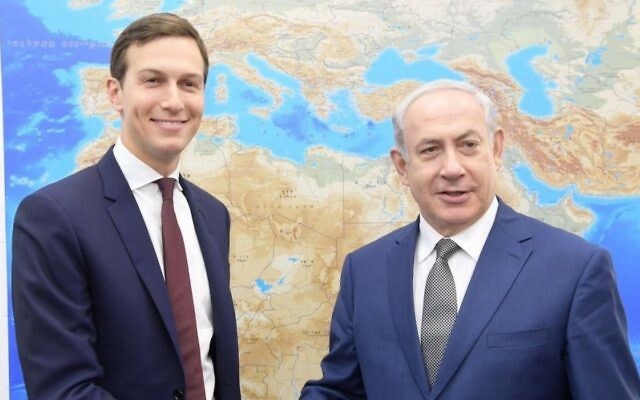 Kushner told Netanyahu that Trump is “very committed” to help broker a peace deal and thanked the prime minister for working with the White House toward that goal. Kushner, who is also Trump’s son-in-law, arrived in Israel Wednesday evening as part of a trip to the region aimed at looking for way to jumpstart peace talks. 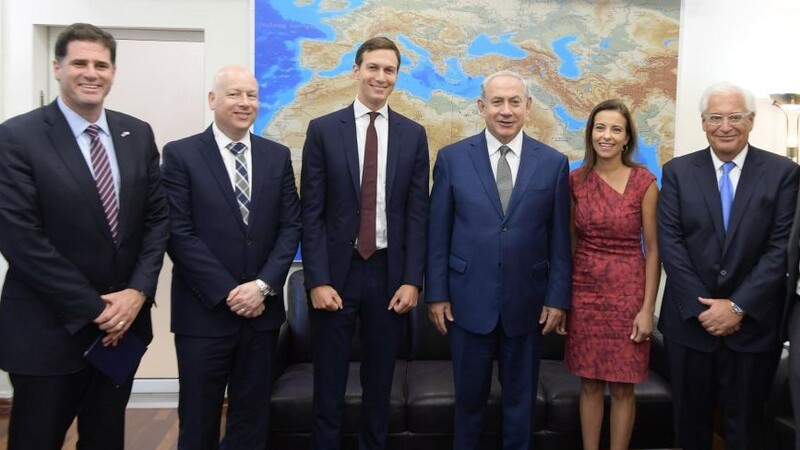 Kushner is accompanied on the trip by peace envoy Jason Greenblatt and Deputy National Security Adviser for Strategy Dina Powell. The US delegation’s visit to the region comes as Palestinian figures have become more vocal in expressing disappointment in Washington’s unclear approach to peace efforts so far. Ahead of the US delegation’s meeting with Palestinian Authority President Mahmoud Abbas on Thursday evening, dozens of Palestinians protested in Ramallah against alleged favoritism by the US toward Israel. 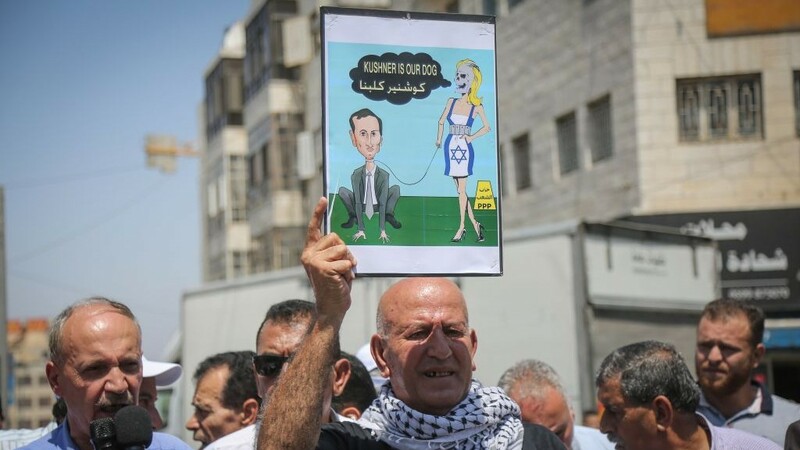 Palestinian officials quoted in Hebrew and Arabic media have accused Kushner of taking Israel’s side on Mideast peace process issues, including PA payments to convicted terrorists, which Ramallah has refused to halt. The president acknowledges that “there are likely to be a lot of ups and downs on the way to peace and making a peace deal will take time,” but he “remains optimistic that progress toward a deal can be achieved,” the source said. Amman said in a statement that King Abdullah II, Kushner and Greenblatt stressed the need to start “serious and effective peace negotiations” on the “basis of the two-state solution,” during a meeting Tuesday. Abbas reportedly told Israeli left-wing politicians recently that despite more than 20 meetings with US officials he was still unclear what Trump’s strategy was. “I don’t even know how they are dealing with us, because his entire administration is in chaos,” Abbas told a delegation of dovish Israeli lawmakers visiting Ramallah. 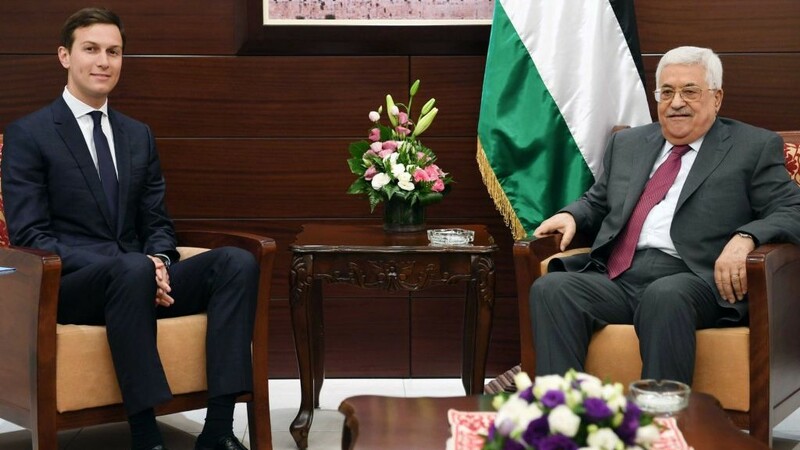 On Tuesday, PA Foreign Minister Riyad al-Maliki said that over two decades of peace negotiations with Israelis had produced “nothing,” and called on the international community to unilaterally establish a state of Palestine. “We convinced the international community that the best way to reach a state is through negotiations. But after 24 years of negotiations, we have not gotten anything,” Maliki said in a meeting with British Secretary of State for the Middle East and North Africa Alistair Burt in Ramallah. Omar al-Ghoul, a Palestinian political analyst, said there was little optimism from the Palestinian leadership. “The level of optimism from the Palestinian leadership and people towards the Trump administration is zero,” he said. Despite the frustration expressed by Palestinian leaders, a White House official told The Times of Israel earlier this month that Trump believes an “opportunity” has opened up to advance his peace initiative. “He believes that the restoration of calm and the stabilized situation in Jerusalem after the recent crisis on the Temple Mount/Haram al-Sharif has created an opportunity to continue discussions and the pursuit of peace that began early in his administration,” the official said. 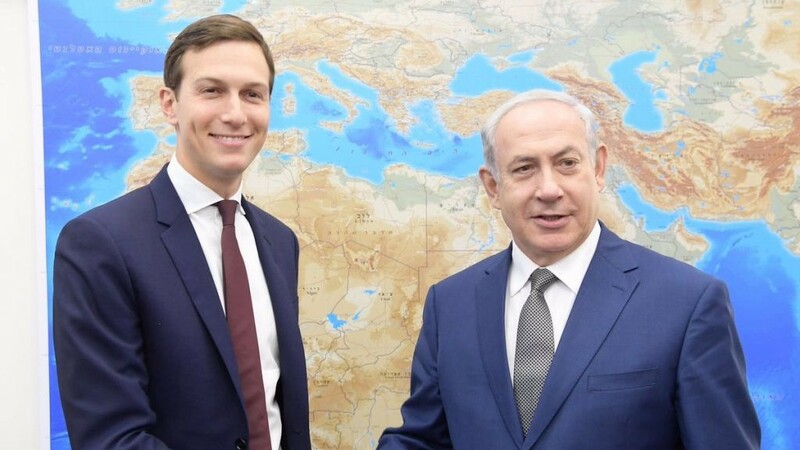 Recently, off-the-record remarks by Kushner — made to a casual gathering of congressional interns — were leaked to the media in which he said there may not be a solution to the Israeli-Palestinian conflict.